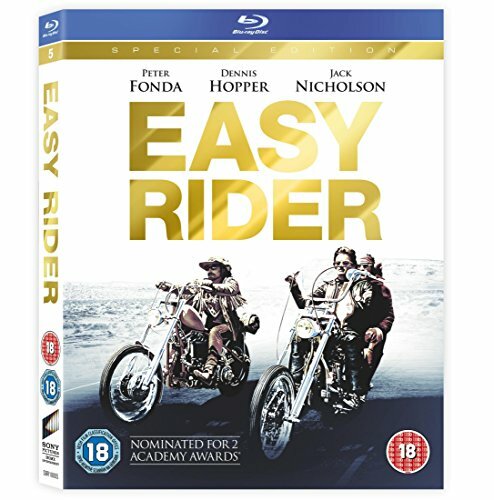 1969’s Easy Rider is a film that my mum wouldn’t let me watch as a kid (not least because it's rated 18 in the UK!). Probably because most of the movie is cantered around drugs. 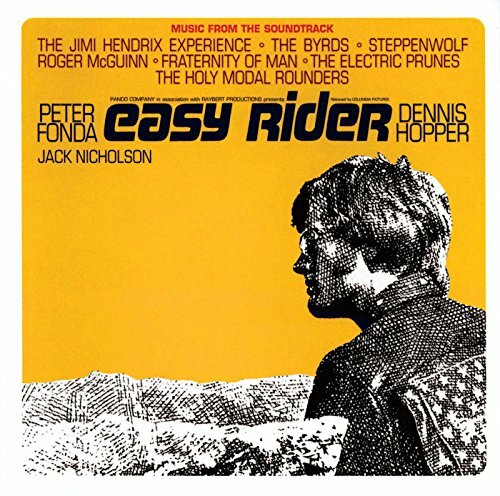 In fact, Dennis Hopper, Peter Fonda and Jack Nicholson were actually stoned for most of the filming. There was no completed script, and much of the dialogue was improvised to add to the realism. After the initial opening scene, which sets up the premise for the film, get the first shots of our two main characters on their bikes, to the sounds of ‘Born to be Wild’. If nothing else, this film has an amazing soundtrack! The first thing I noticed visually, apart from the epic sideburns and moustaches, was the amount of lens flare going on. And this is beautiful real lens flare from the a sun that was low in the sky, rather than JJ Abrams CGI lens flare from a computer. The motorbike sequences are beautifully shot. As I’m finding more and more with these classic movies, far more emphasis is given to character rather than story. This is important because you invest in them and care about what happens to them. Many of the films being released today have extensive casts with little time devoted to who they are and their motivations, so you don’t really care too much if they live or die vs anyone else in the story. As I’ve previously said, drugs take a central role in the film, but not really in a way that glorifies them. They’re kind of just a thing that they do. I’m fact, the acid scene is just weird and disturbing, and I was glad when it was over... which I guess is what you’d want if you were on a bad trip! I fully expected the final shot of this movie to be the two guys riding literally into the sunset. Visually that would have totally fit with the rest of the movie. Surprisingly, in a seemingly irrelevant moment, a random pair of guys decide to shoot both of our hero’s with a shot gun, leaving them dead. This took me completely by surprise! The idea of a movie not having a happy ending is so rare these days, and it definitely had shock value, both because it came out of the blue, but because you wanted to see where these two guys were going to end up. 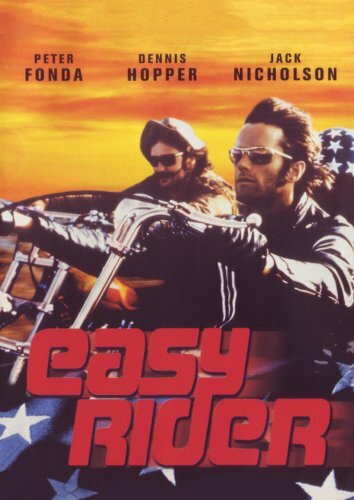 Overall I don’t think Easy Rider would make my all time top ten list of movies, but I’m glad I’ve watched it. 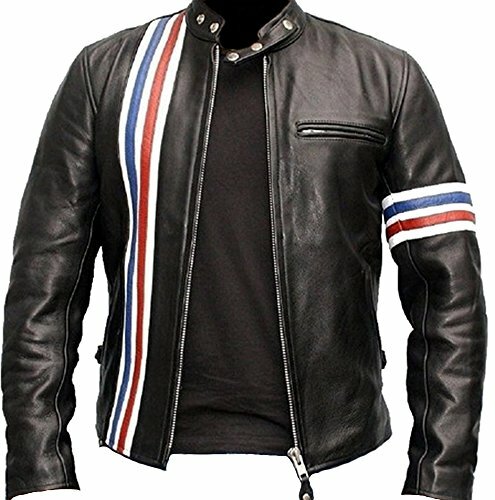 I do also really want some retro shades and a leather jacket now though. 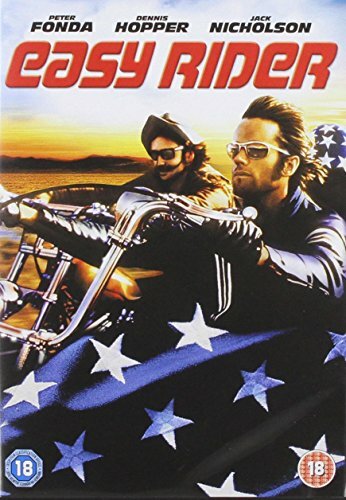 Peter Fonda’s character looked so cool!